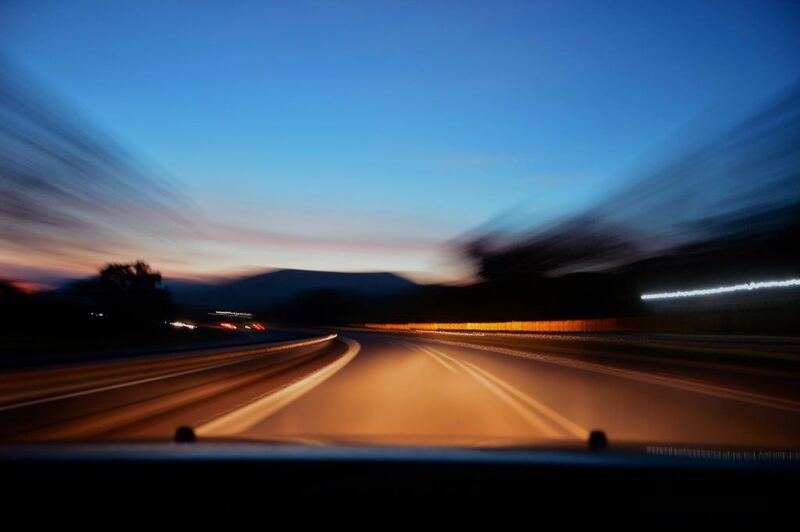 The California case involved a frequent cause of fatal accidents around the country. Stopping along the roadside for non-emergency purposes is illegal in California, yet truckers commonly use such areas to rest or tend to other tasks. 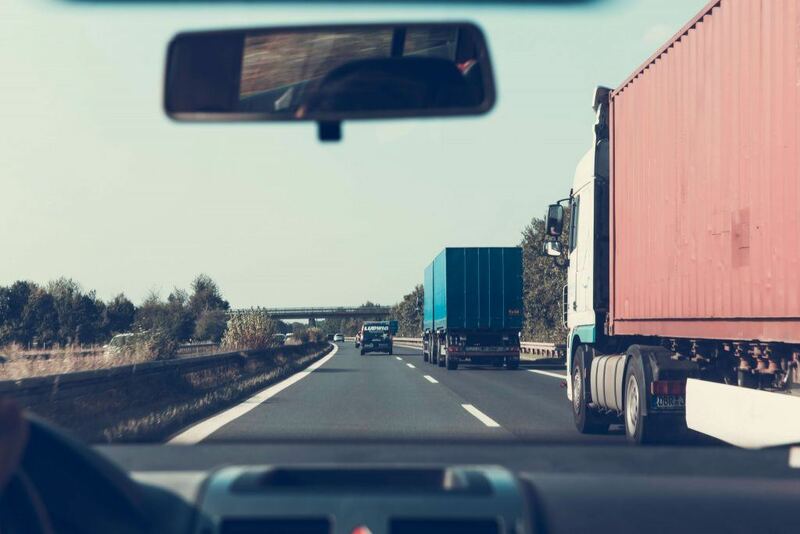 In many instances, particularly when the truck’s lights are employed on darkened highways or in inclement weather, it appears as if the truck is moving. This can lead to rear-end accidents. Since trucks are bigger and higher than other vehicles, such accidents often result in fatalities. Let’s examine the case, how the accident happened and the role roadside stops and big rig conspicuity have in an accident. Jose Garcia was a passenger in a Volvo box truck traveling on a connector lane between East SR-60 and West SR-71. The truck’s driver, Sergio De La Torre, veered out of his lane and onto the shoulder of the road when another vehicle cut him off. A truck was parked ahead of the box truck on the shoulder, and as De La Torre tried to renter traffic, he hit the rear left bumper of the big rig. Jose Garcia was sitting in the passenger seat of the box truck and was killed in the accident. The box truck’s driver survived the collision. The big rig driver of a 2010 Volvo tractor hauling a 1992 Tri-Modal Distribution trailer had pulled over to the side of the road before the accident happened. The driver of the big rig, Jorge Garcia, was also killed in the crash. Garcia’s employer said that he was having mechanical issues that forced him to pull over. When the crash occurred, Jorge Garcia was standing between the tractor and the trailer. The reason the truck stopped on the shoulder was hotly debated during the trial. Attorneys for Tri-Modal said that the driver of the big rig stopped on the side of the road because the truck he was driving had a mechanical failure. They said that the driver of the box truck was reckless and argued that the explanation De La Torre gave of a third vehicle cutting him off was unfounded. The plaintiff’s attorney said that the Tri-Modal driver stopped not because of a mechanical problem but because he needed to urinate. The coroner, who did the autopsy on the Tri-Modal driver, said his bladder was empty, indicating that he had urinated in the moments before his death. Tri-Modal dispatchers said the truck driver had signaled that he was stopping due to mechanical problems, yet this was not told to police at the time of the accident despite an officer asking if the big rig operator had contacted dispatch. Jorge Garcia, whose radio was playing full tilt at the time of the accident, was not holding any tools, did not have a flashlight and was not wearing a safety vest. He did not place triangles or safety cones around the still-running truck. Inspections of the Tri-Modal truck after the accident did not reveal mechanical problems. The plaintiffs in the wrongful death lawsuit said the Tri-Modal driver was negligent for stopping by the side of the road for a non-emergency situation. Other than for what could be described as a catastrophic mechanical breakdown or other emergent situation, the law specifically forbids pulling over to the shoulder. Motorists often confuse this concept to mean it is permissible to address routine issues in this way such as settling a child’s rant or answering an important cell phone call. On a highway, performing any task other than driving could be viewed as obstruction of traffic flow and subject to a serious fine under Vehicle Code (CVC) 21718. What Is Big Rig Conspicuity? Big rig conspicuity is another problem that plagues motorists, particularly at night. If an object is conspicuous, it is easily seen and attracts special attention. In the daylight, trucks are more easily seen due to their prominent size. However, at night, big rig conspicuity is a somewhat different story. Drivers depend on lights to see motorists around them and those further down the road. Since trucks generally have long stretches between the cabin and the end of the trailer, in the dark it is easy to think there is an empty space. This is most prominent when the truck is making a turn. In addition, trucks stopped on the road may not be easily visualized, especially on a poorly lit section of the highway. With their tail lights on, other motorists may think they are moving, although at a slower speed, and collide with them. Since the 1960s, trucking companies have known about the need to make their trucks conspicuous (visible) to other motorists. 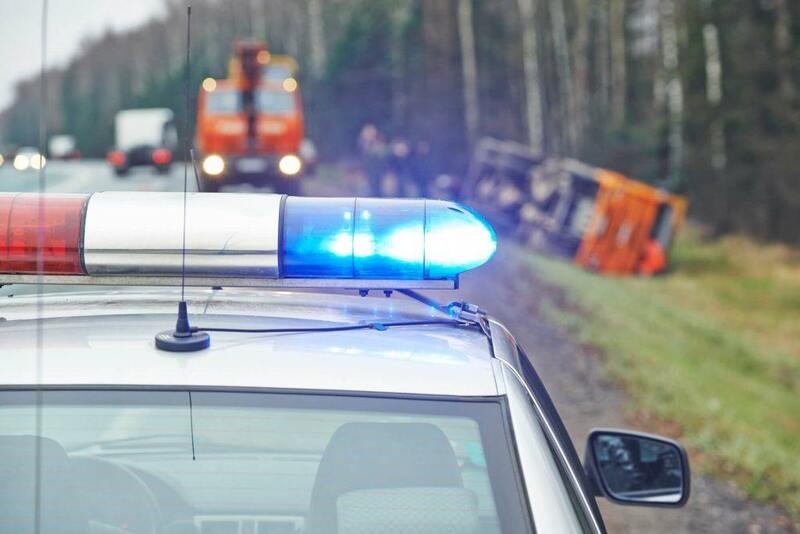 It is well known that underride accidents, where a motor vehicle hits the rear of a truck and slides underneath, are often not anticipated since the motorist was not aware of the truck until the last moment. The use of red tail lights may confuse drivers and does not relay the message that a slow, large vehicle is right in front of them. Watch YouTube Video: Underride Protection Not Enough to Prevent Deadly Wrecks. This short news clip from WTVC NewsChannel 9 explains how underride accidents can still occur despite rules and regulations that are in place. The Sides of the truck’s trailer: The reflex reflectors or retroreflective sheeting used to meet big rig conspicuity requirements must be placed on either side of the trailer. It must be done horizontally as close to the front and back of the vehicle as possible. It is not necessary to have continuous reflectors or sheeting. It is essential to have the sum of all the segments equaling one half of the length of the trailer. Spaces between the segments should be distributed in an even fashion. The strips must be between 15 and 60 inches above the surface of the road. The Lower rear end of the trailer: The rear area of the trailer must be fitted with reflex reflectors or retroreflective sheeting to satisfy big rig conspicuity rules. It must be placed horizontally and for the full length of the trailer. The Upper rear trailer area: Two pairs of 12-inch strips positioned perpendicularly to each other must be located on the upper right and left parts of the trailer to fulfill big rig conspicuity requirements. The pairs must be placed as close as possible to the top corners of the trailer. Each pair must be as far as possible from the other. Truck tractors made after 1997 must also be equipped with reflective materials required of the trailers. The mudflaps must also carry reflective material, either permanent or temporary. Using focus groups to envision what a jury might award helps an attorney establish a workable settlement amount. In this case, pre-trial estimates were between $5 and $11 million. The plaintiff’s attorney offered to settle for $5 million. The insurance companies representing Tri-Modal provided combined coverage of $8 million. Since Tri-Modal rejected the settlement offer, the company might be liable for an additional $4.5 million in interest and fees. Investigating the crash and other aspects of the case is important in terms of winning. An attorney with the experience and resources to follow through on every aspect of the case is vital to receiving the settlement or jury verdict the plaintiff needs and deserves. Using experts to validate evidence helps the jury overcome any reservations. Choosing a seasoned personal injury lawyer who is experienced in trucking accidents is the first step to winning. I’m Ed Smith, a Fresno Truck Accident Lawyer. If you were injured in an accident with a negligent truck driver or a family member was killed, you have the right to seek damages. While the financial compensation will not bring the family member back or make the trauma you endured easier, it will make monetary worries less daunting. Call me at (559) 377-7676 or at (800) 404-5400 nationwide to receive free and friendly advice. You can also contact me online using my convenient form. I’ve won many cases for clients involving wrongful deaths, traumatic brain injuries, truck, and pedestrian accidents and all types of car crashes. I am a proud member of the National Association of Distinguished Counsel. This organization rewards the top one percent of attorneys who offer clients the highest level of representation in their practice. I am also a Million Dollar Advocates member. We are a forum of trial lawyers from all over the country who have won more than a million dollars for a client.